What Is the Best Paint for Kitchen Cabinets? Painting cabinets is one of the best ways to redo an outdated kitchen without spending a lot of money. 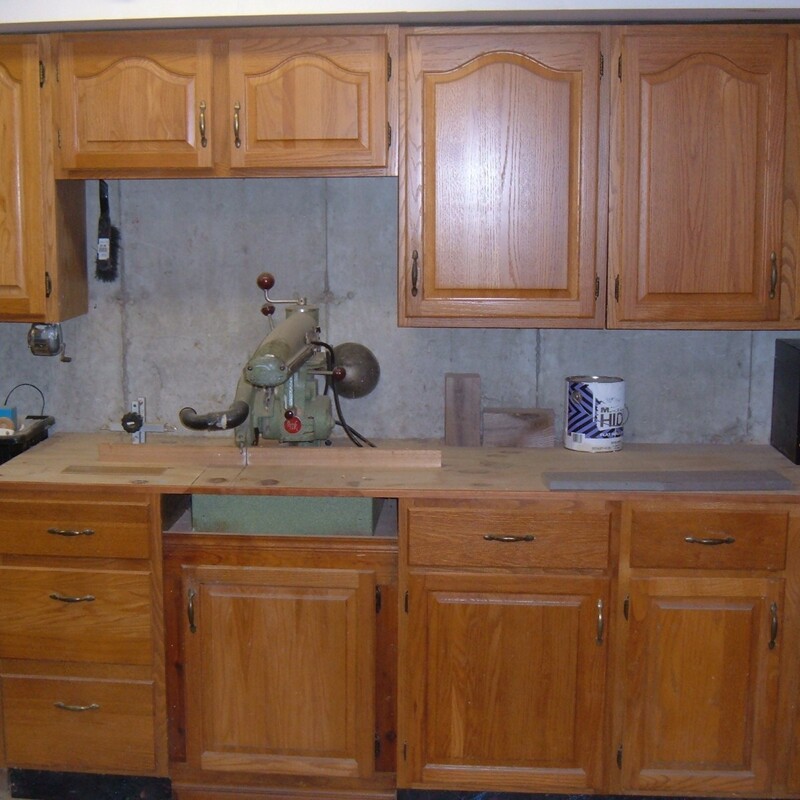 Cabinet painting, although time-consuming, is a relatively easy job that any able-bodied homeowner can do themselves. 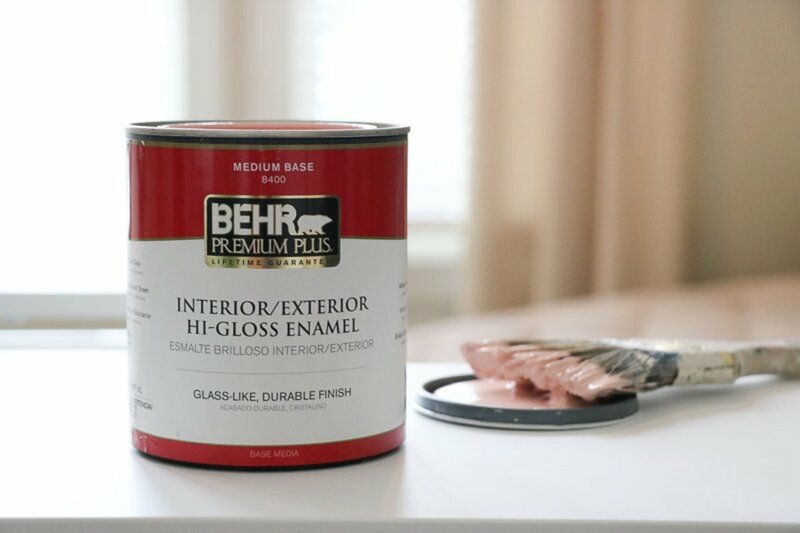 One of the most important parts of a cabinet painting job, besides the preparation, is shopping for a quality paint. 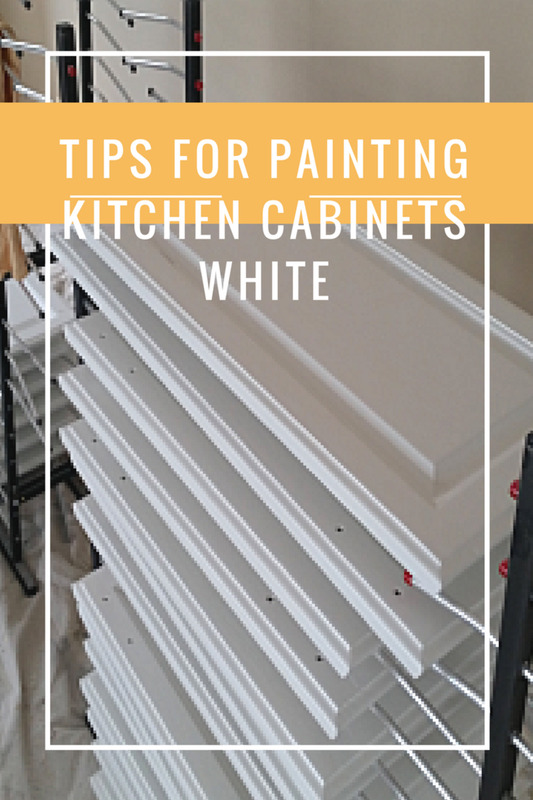 Buying paint for a basic one-day wall painting job is one thing, but for a tedious cabinet painting project, it pays to use a durable paint that's going to make your kitchen look its best. Sherwin Williams sells an assortment of primer and paints that work well for cabinet painting. Sherwin Williams is also a little less expensive than Benjamin Moore, and their premium paints provide the same quality. After cleaning and thoroughly sanding kitchen cabinets, it is really important to apply a quality primer undercoat. Primer seals the sanded cabinet wood, block stains and forms a tacky surface that bonds well with the new top coat of paint. One primer that I have used for years is ProBlock from Sherwin Williams, but buy the oil-based version, not latex. The primer does smell horrible, but it will give you the durability and stain-blocking performance necessary for a cabinet paint job. In case there isn't a Sherwin Williams store where you live, buy oil-based Kilz instead. Kilz is also an excellent primer to use for kitchen cabinets and it's sold at Home Depot and most hardware stores. First, you must decide if you're going to use an enamel oil-based paint or latex paint for the cabinets. There are pros and cons to each. Oil-based enamel dries very hard, and it's the most durable; however, white oil paint tends to yellow over time. Applying oil-based paint is also a little tricky if you don't have any experience painting. The paint also smells awful, and it's harder to clean up. Oil-based enamel paint is great for kitchen cabinets, but a durable latex enamel is fine too. Latex enamel paints aren't quite as strong as their oil-based counterpart, but strong enough for the average kitchen and pleasant to work with. 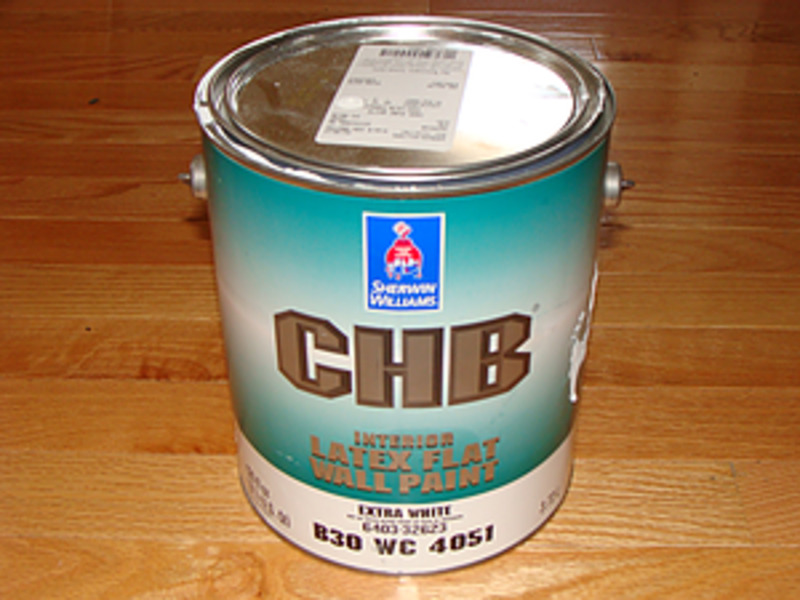 Some latex enamel paints, such as ProClassic, are designed to mimic the rich and shiny appearance of oil enamel. ProClassic latex enamel from Sherwin Williams is a good paint for kitchen cabinets and trim, however, if you don't have any experience painting, I don't recommend this paint because it's a little tricky to apply because it dries fast. However, you can slow down the dry time by adding Floetrol paint conditioner. If you apply ProClassic correctly, it looks amazing on kitchen cabinets. The cost isn't cheap, but you get what you pay for. If you buy this paint, I recommend spraying it, instead of applying it by hand, because the sprayed finish looks so much better. It does self-level, so if you use a good brush and roller technique, and avoid over-applying the paint, it will look fine. Use only a foam roller to mimic the sprayed look. SuperPaint is a step down from ProClassic, but it is a premium paint that works well on cabinets, trim and walls. 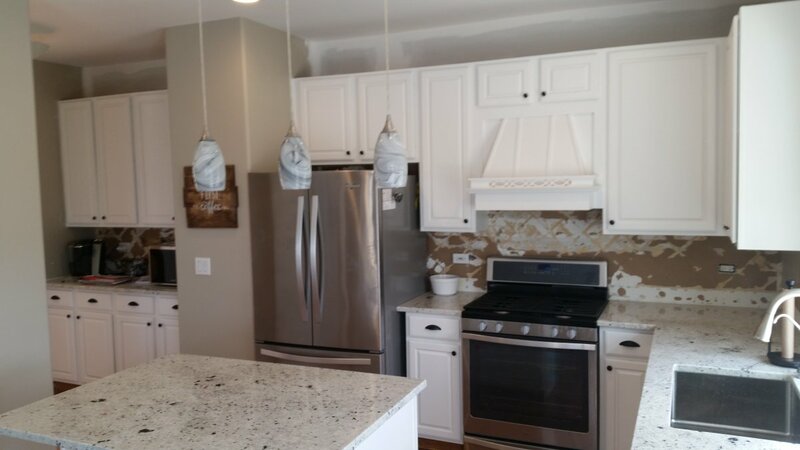 SuperPaint isn't overly expensive, and it's a lot easier to work with than ProClassic because it doesn't dry as fast and it provides better coverage over darker colored cabinets that have been primed. SuperPaint is sold as an all-in-one paint and primer, but for kitchen cabinets, an oil-based primer is still necessary before applying the paint. I recommend using ProBlock oil primer, or Kilz, followed by two coats of SuperPaint, using a 2" brush to cut-in the edges and a foam roller to achieve a stipple-free finish on the cabinet doors. I recommend painting cabinets in a semi-gloss SuperPaint finish, not flat or satin. Semi-gloss looks best on cabinets and provides a smooth surface that's much easier for cleaning dirt and fingerprints. SuperPaint is not an enamel like ProClassic, but with a basecoat of oil-based primer, the paint finish won't rub off or damage easily. The two paints mentioned in this article are the paints I would use for a cabinet painting project. Sherwin Williams sells an array of paints that could be used on cabinets, but these two paints in particular are the most durable and receive the best ratings. There are also zero VOC paints as well, such as Harmony and Duration Home, which are good for walls, but I'm not sure how durable these paints would be on kitchen cabinets. Can I use water and dish detergent to clean my kitchen cabinets? No, I would only use warm water, wiping gently with a soft microfiber cloth. Dish detergent may de-gloss the finish, unless you dilute it more with water. If I use semi-gloss Pro Classic, do I still have to apply polyurethane to seal the paint? My local Sherwin Williams advised against top coating Pro Classic with polyurethane. What I recommend for cabinets is Emerald Urethane semi-gloss (modified acrylic paint), over Pro Classic acrylic, for increased durability. My article is a little outdated (2016). For cabinet painting, I now use Emerald urethane paint because it dries harder and it's more washable. When sprayed, or brushed, it also levels really well like Pro Classic. There's no need to top coat Emerald urethane with sealer as the paint is already formulated with urethane. I've started using this product on my cabinet jobs, and I've been very pleased with the results. I have well-maintained wood cabinets and wanted to paint them white. The contractor deglossed them, put 3 layers of primer (Sherwin Williams) and then sprayed ProMar 200 semi-gloss and it's coming out yellowish. What can I do? The contractor likely didn't know what he was doing and used the wrong primer (latex). That's why the paint looks yellow. The surface wasn't sealed and allowed wood tannin and oils to bleed into the paint. The second problem is he should have never used ProMar 200 paint on your cabinets. This paint isn't durable, and it's a poor choice for cabinets. The cabinets should have been cleaned and sanded too before primer. You should remove the ProMar 200 paint and primer, clean, sand, prime with an oil primer and paint with a durable product like Emerald urethane. I've recently dived into the cabinet painting world. I have used the Sherwin Williams proclassic in the past and then read your article about the emerald urethane trim enamel. I'm going to try it on my next job. Do you still recommend using the Sherwin-Williams extreme Bond primer? Do you recommend a semi-gloss or satin finish for kitchen cabinets? I recommend a semi-gloss finish for cabinets. It will be easier to clean than satin. My SW rep indicates that the Delta on an important color match formula (Peace Yellow #2857) is too large making replication of the color too dicey and recommends Duration or Emerald interior acrylic latex for the perfect match. I plan to scuff sand and prime with SW Extreme Bond Primer. Topcoats would be satin or semi-gloss. Any thoughts on Duration vs Emerald vs something else? Duration is good. I've never used Emerald. How many gallons of paint will I need to paint a 10x10 kitchen? 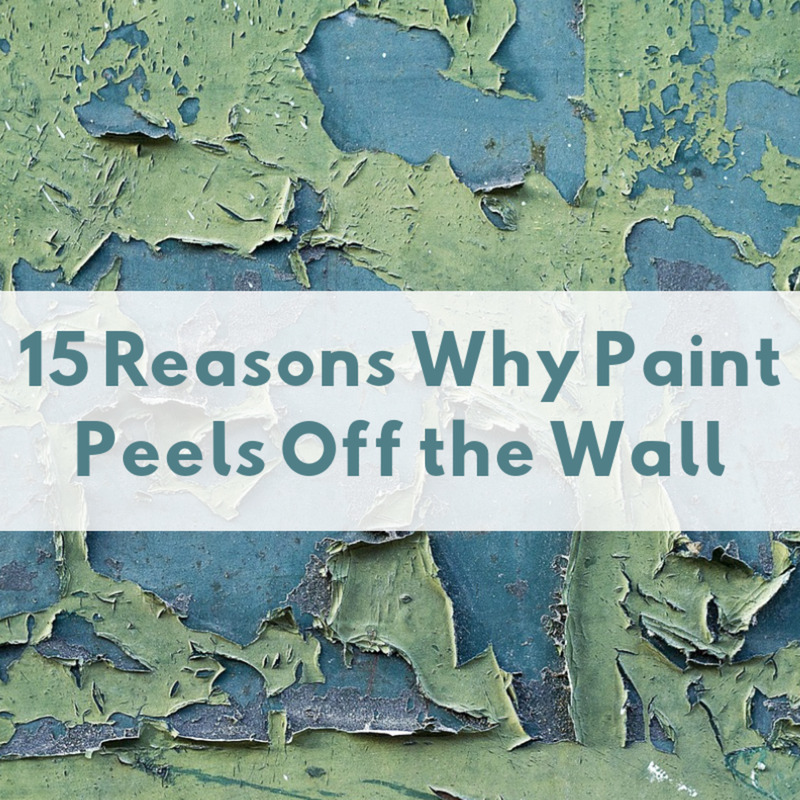 One gallon should be plenty to paint your kitchen walls if that's what you're asking. The paint needed for cabinets depends on the number of doors. I usually buy two to three gallons of paint for cabinet doors. I am allergic to enamel paint. What would you recommend for kitchen cabinets? You might want to consider PPG Breakthrough. I don't think it's enamel, but I could be wrong. I also haven't personally used this product, but I've been told it's a very good product for cabinet painting. I just painted my cabinets with proclassic acrylic latex semigloss, but I want a stronger finish. Can I paint Emerald Urethane directly over the proclassic acrylic? Does self-leveling paint aid in hiding the grain? No, not really. Self leveling paint will fill some of the small cracks and holes in the grain as it lays out, but grain filler should be used first if you want to reduce visible grain. I would spray the primer. If you're painting oak cabinets though you should apply one to two coats of grain filler first. Hi - am about to paint wood kitchen cabinets. I am planning to use ProBlock oil based primer and then Emerald Urethane semi-gloss. I have every intention of spraying the Emarald Urethane. My question is should I spray the oil based primer or use the brush/roller technique? Thanks for the comment. This article is actually quite old. I use Emerald urethane on all of my cabinet jobs. I spray everything. Before switching to Emerald, I used Pro Classic for years, with good results, but I really like Emerald urethane even better, so far. It looks best when sprayed. The paint dries harder after a week or so. My husband and I painted our kitchen cabinets this summer with Emerald urethane ,,,it was awesome..we cleaned and washed them..then very little sanding only in areas that were needed. We gave them two coats and wish I could post a picture as we have had so many compliments. We used the "dollop of vanilla" which they look white but not white white., It blended in with our counter top perfect..
Emerald urethane enamel is pretty good if you paint the table top. I've been using that product on my cabinet jobs with success. It dries pretty hard. You could top coat it with poly for added durability. But for maximum durability you might consider pigmented lacquer. You can get it from Sherwin Williams. It's their Sherwood product line. Trying to figure out what is best for a table top. I am doing white table legs, chairs and bench legs. Looking at grey top for table and benches. Could use different products of SW. I was already planning to use oil base primer as you suggested. I pan to spray. I have done lots of furniture painting in the past. Every time I do the formulas seem to change. Thank for your time. Oil-based primer is fine. I've never had a problem with yellowing. I have heard that oil based paints can yellow over time as you mentioned as well. Is this also true of an oil based primer with laytex enamel paint on top? It sounds like the oil based primer is the best but my concern is that over time it will come through the laytex paint and cause our white cabinets to yellow. The article explains how to prep and paint them. Even if your cabinets aren't oak, the prep is mostly the same, but if they are oak, you will need to use a grain filler before painting. Pro Classic is an enamel available as an acrylic latex or alkyd. The acrylic option is fine for your cabinets. That's the only one I ever use. You definitely want to use an oil primer. I use the shellac primer BIN when I spray cabinet doors. I am going to paint my kitchen cabinets. They are a stained wood with a protective coating over the top. How should I prep? Should I strip and sand down to the natural wood? or would a deglosser and light sanding do? I plan on using an oil based primer and proclassic enamel paint. Also what is the difference between ProClassic Acrylic Latex and ProClassic Acrylic Enamel? Why is it okay to use an oil based primer and then paint over it with SW Pro Classic Acrylic Enamel? I thought you weren't suppose to put latex over an oil base. I'm confused. I have bought the Pro Classic to redo cabinets of painter we hired. They were doing such a horrible job using oil based paint, we had to stop them. I was going to sand, clean, prep with a latex primer and then use the SW Pro Classic, but you think it would be not just okay but better and longer lasting to use an oil primer before using the Pro Classic Acrylic Enamel? The painters were painting over very dark stain solid wood cabinets. So I am left with a mixture of some with no primer, some with Kikz oil primer and oil based S W Super Paint. I would lightly sand the frames, prime with an oil primer sealer, and spray with two coats of SW Pro Classic acrylic enamel. I have used SW All Surface Enamel before and didn't experience the problem you're having so I'm not sure why the surface was tacky, but if you oil prime and paint with Pro Classic you'll be able to handle the frames the following day without any issues. Great information...! I have a question. I am making large wood picture frames 37" x 48". Building first and then painting. I'm using SW all surface Enamel Latex. I spray. Problem is its very tacky, for weeks after; which means I can not ship them. They show finger prints, and stick to everything. I either am painting too thick and not drying between coats properly; or something else. But its making me think I should just go for oil based. I would like to paint and then within 5 to 7 days be able to handle the frames. Any thought? Thanks in advance.